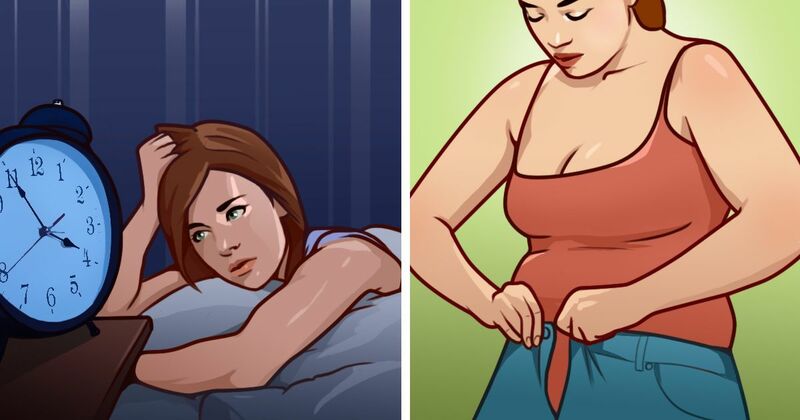 There is a strong connection between sleep and weight. The link, however, is anything but simple. Mind the Science Gap reported a study that found how well and for how long a person sleeps, as well as variations in his or her bed- and wake-times, are all related to changes in body fat percentages. In the below listicle, we share the 8 best home remedies for getting better sleep and maintaining a healthy weight. 1. Go to bed by 11:00 PM. Earlier bedtimes mean more sleep and less risk of late night snacking. According to one study by the University of Pennsylvania, late night snacking accounts for an average of 500 extra calories. 2. Drink chamomile tea. Often associated with bedtime, chamomile tea helps insomniacs sleep at night and function better in the daytime, says Yahoo Beauty. It also relieves muscle spasms and menstrual cramps, making it easier to stay active in the day time and relaxed in the night. 3. Blackout curtains. Sleeping in complete darkness aids the body's natural production of melatonin. While you may have heard melatonin referred to as the "sleep hormone," it should also be called the "weight loss hormone." According to Reader's Digest, melatonin helps produce a calorie-burning brown fat that helps you lose weight in your sleep. 4. Sleep in the cold. Reader's Digest reports a study published in the medical journal Diabetes, which found people who slept in rooms with a temperature of 66 degrees Fahrenheit burnt 7 percent more calories than those who slept in warmer rooms. That amounts to approximately 100 calories per 24-hour cycle. 5. Keep electronics out of the bedroom. Staring at your phone or watching television before going to sleep interrupts the production of melatonin and interferes with your metabolism, says Reader's Digest. 6. Eat a turkey dinner. Most Americans are familiar with "Thanksgiving Syndrome," in which a wave of exhaustion overcomes the entire family after the big turkey dinner. According to Eat This, Not That!, there's some truth in the feeling. The website recommends eating foods with high concentrations of tryptophan, such as turkey, nuts, and fish, to increase time spent in deep sleep and to feed the body with restorative foods. 7. Eat grains at lunch. Your food habits throughout the day, not just in the evening, effect the quality of your sleep. Eat This, Not That! recommends consuming complex carbs, like whole-grain bread or brown rice, at lunch time. Complex carbs are important for good sleep and weight loss, because the serotonin in these foods is converted into melatonin during REM sleep. 8. Burn a mint candle. A study published in the Journal of Neurological and Orthopaedic Medicine found sniffing peppermint every two hours can result in an average weight loss of five pounds per month. Peppermint has the added benefit of being wonderfully soothing. For best effects, Eat This, Not That! recommends burning a mint candle before going to bed to fill the room with the scent of mint throughout the night. You can also sprinkle a few drops of peppermint essential oil onto your pillowcase. Have you tried these home remedies? Tell us your success stories when you SHARE this article on social media! Resources Mind the Science Gap, Penn Medicine News, Reader's Digest, Yahoo Beauty, and Eat This, Not That!